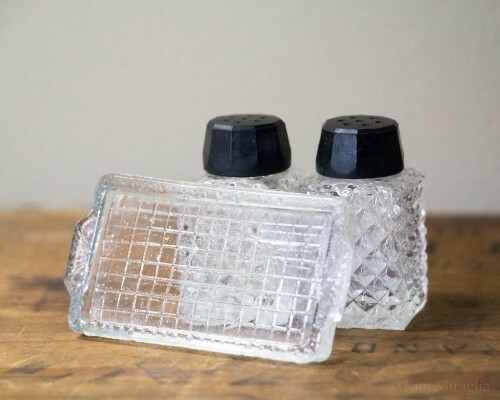 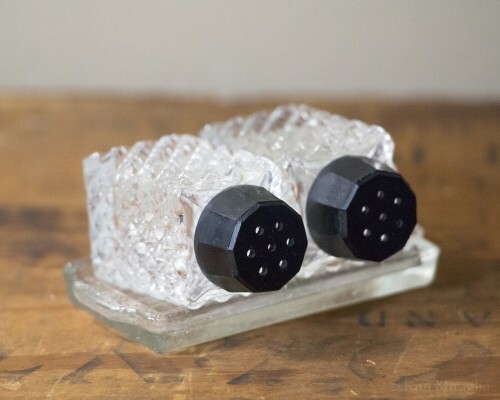 The S&P shakers are 1″ x 1-7/8″, pressed glass with black Bakelite lids, marked Japan on the bottoms, from pre-depression era. 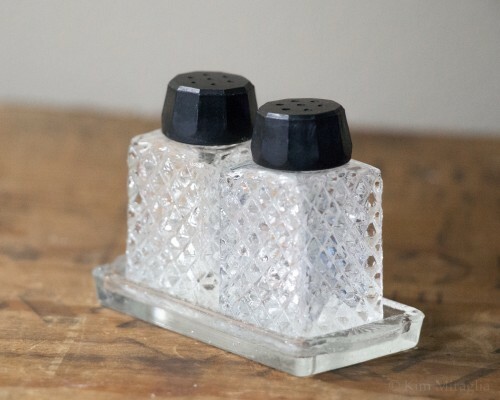 I didn’t do a deep clean on the insides, so you can still slightly tell which was the pepper, and which was the salt :) I will get a picture of the bottoms as well. 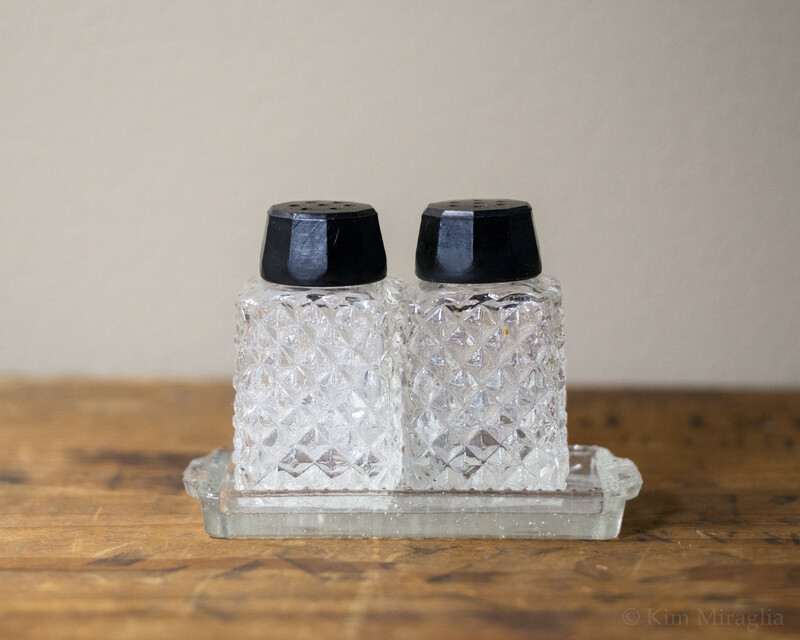 The cute little black Bakelite lids are in good condition, one has a tiny crack running up from the bottom to about 3/4 the way up, looks like it was caused by over-tightening, please keep in mind.